Penned by Jakub Rozalski, a Polish artist/3d designer, the 1920+ universe is an alternate take on what happened when incredible technologies were developed during WWI. A blistering take on dieselpunk and historical warfare and drama taking place after the end of the Great War and capturing the daily existence of simple folk alongside brimstone-spitting, steel behemoths, the IP started out as mere paintings and has since blossomed into both the tabletop genre (with Stonemaier Games’ Scythe hitting one of the highest non-miniature-game funding marks on Kickstarter) and, more recently, the video gaming sphere, in the guise of Iron Harvest. 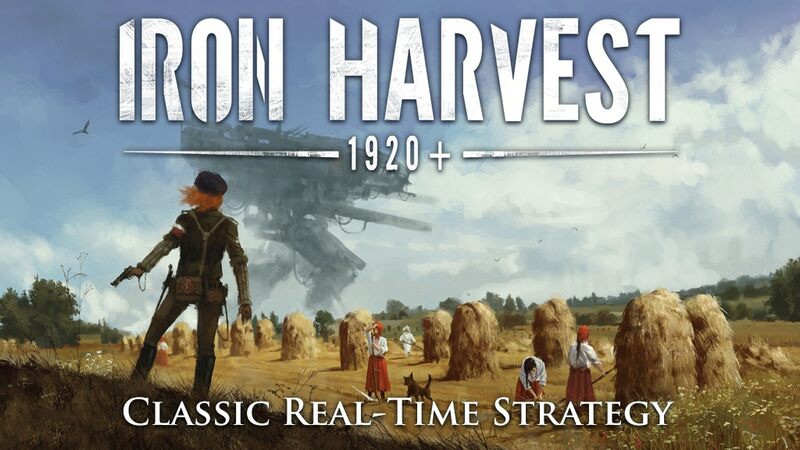 Put together by KING Art Games (following another highly successful Kickstarter campaign), Iron Harvest is an RTS touting a return to peak form for the genre, slapping completely destructible environments and a heavy focus on troop tactics and freedom of choice on top of the aforementioned setting, with pretty spectacular results. The game has recently hit Alpha 1 (right on track, might I add), and the team has released a short gameplay video and made a very detailed devblog update which everyone can look into. Furthermore, you can still pledge your support to this game and gain Alpha or Beta access, and as an early backer and longtime follower of the project myself, I highly encourage you to do so. The team has kept communicating with the fanbase wonderfully throughout the post-campaign months, has held many polls in regards to many aspects of the game that have come to fruition in the (still very much WIP) product, and have cited they’re aiming for a Company of Heroes style game, something I believe they’re skirting very close to at the moment. They’ve also refrained from adding many new concepts to the game as the KS went on, limiting themselves to what they already knew they could achieve, but pledging to release more content via DLC, as time goes on. I have had nothing but positive interactions with both KING Art Games as well as the people tangentially involved with what the world of 1920+ has given us so far, so I’m very happy to give this product and its creators the biggest thumbs up I possibly can. Onwards, to bigger and better things, comrades! Have a look at the video below, thanks for reading, and have as nice a day as you deserve!